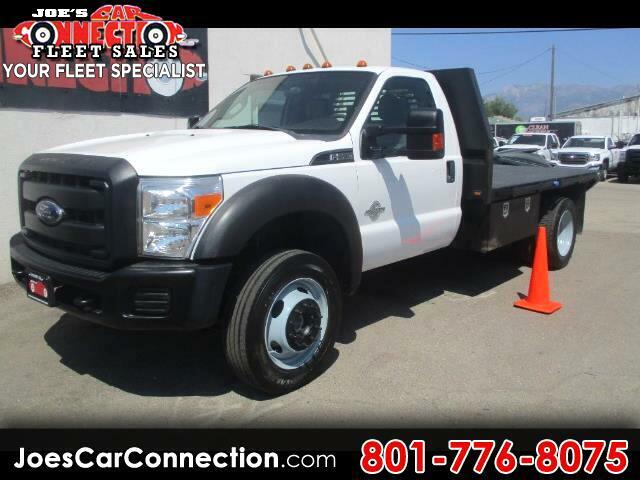 2014 4WD Ford F550 Superduty Reg cab 11ft Flatbed deck. Keyless entry. Power windows, mirrors and doors. We have a LARGE variety of these pre-owned Flatbed Work Trucks, come check us out! 5464 S 1900 W, only 30 minutes from SLC. Our website is www.joescarconnection.com where you can find a current list with new weekly arrivals! If you have any questions don't hesitate to call #8017768075! Message: Thought you might be interested in this 2014 Ford Super Duty F-550 DRW.